With over 18 years in the Multi- Housing industry, Angie brings her own wealth of knowledge to Sheehan Property Management. Angie joined Sheehan in 2007 after working for another local management company in the Indianapolis area as a Marketing Director. Prior to her role as Marketing Director for a management company, Angie worked for a marketing company that helped management companies achieve high occupancy on their properties throughout the Indianapolis, Columbus and Bloomington markets. Angie also previously owned her own landscaping company in the Southern Indiana area which gave her the ability to see the multifaceted sides to property management from vendor, to employee, to owner. Angie transferred to Southern Dunes Apartments on the southside of Indianapolis after managing River Stone Apartments in Columbus, Indiana since 2009. New construction experience will be a valuable asset as construction of the second phase at Southern Dunes begins this year. 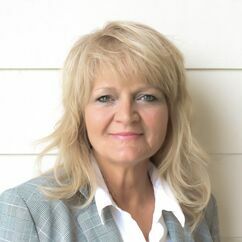 Angie participates in many Indiana Apartment Association training courses, received her CAM designation in 2013, and her CAPS designation in 2016. When Angie is not working she enjoys spending time with her children and travels to New Hampshire as much as possible to visit her oldest son. She also enjoys her two dogs, HGTV, reading, gardening, biking on the Culture Trail, golfing and most of all traveling. Tracey started her property management career in 2006 as a Leasing Consultant. In the spring of 2010 she joined the Sheehan Property Management team as a leasing consultant at The Masters Apartments in Indianapolis. 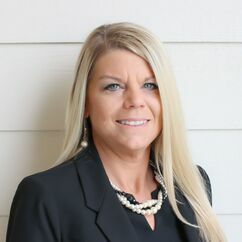 Tracey was promoted to the Assistant Property Manager position at The Masters in the fall of 2011 and Property Manager of Lakeview Court in the spring of 2013. Tracey was awarded “Rookie of the Year” in 2010 and received “Property of the Year” in 2014. Tracey takes pride in her community and work ethic. During her free time, she enjoys spending time with her husband, 2 boys, family and dogs. A few of her favorite hobbies include decorating, party planning, and reading. 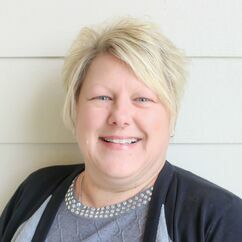 With more than 16 years of experience in the housing industry, Amy Hysong joined Sheehan in March of 2015 as Property Manager of Wabash Landing Apartments in West Lafayette, Indiana. Amy prides herself on being an organized and efficient professional who oversees the property with keen attention to detail and a focus on each client’s best interests. 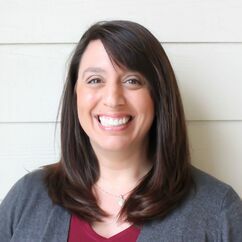 Amy’s expertise is in collection management, tenant relations, vendor management and Fair Housing/lease compliance. Amy also has 12 years of experience in student housing. Amy enjoys riding her Harley, being outdoors, fishing and spending time with her dogs Fergie and Pearl. 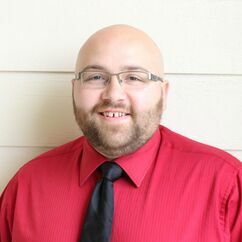 Brian started with Sheehan Property Management in February of 2016. 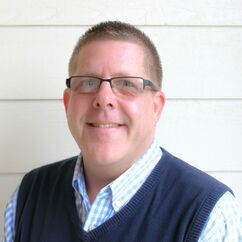 Brian has been in the multi-family industry since April of 1993 and holds his CAM designation. He has worked for multiple property management companies that range in size, giving him insight into the needs of all different types of properties. When Brian is not at work he enjoys spending time with his daughter and family in the Seymour, IN area. Originally from Fresno, California, Amy relocated to Indiana in 1991 and began her 17-year career in the property management industry. Starting as a Leasing Consultant in 2000, Amy gained experience in the multi-family sector and was able to use her knowledge to obtain the roles of Assistant Manager in 2004 and Property Manager in 2014. 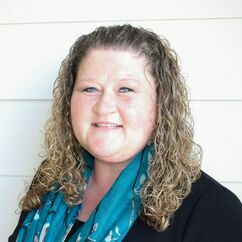 Amy joined Sheehan in 2016 as the Property Manager for Murphy’s Landing Apartments, located in Indianapolis, Indiana. Within Amy’s first year at Sheehan, she was awarded “Rookie of the Year” & recognition of appreciation in “Organization & Initiative”. Amy has received multiple certifications from the Indiana Apartment Association and is currently working towards completing her CAM certification in 2018. When Amy is not working, she enjoys spending time with her grandson, having family gatherings and listening to music. Kelly joined the Sheehan Property Management team in May of 2017 as Property Manager of Legends of Wildcat Creek Apartments in Kokomo, Indiana. Kelly is an innovative and efficient professional who excels in providing a friendly and caring community for her residents and staff while maintaining high occupancy rates. Kelly brings a wealth of knowledge and experience to Sheehan having previously owned her own property management investment company in Atlanta, Georgia. Kelly has successfully managed properties in four different states, received extensive training and has a great passion for helping people. When asked her occupation, she happily refers to herself as a “Professional Problem Solver,” who takes pride in and has a great love for her occupation. When she is not working, Kelly loves being outdoors, playing sports, reading, spending time with family and friends, and especially, traveling. With 20 years of experience in property management, Mary Dowty has a true passion for the industry. She was born and raised in Lafayette, Indiana and holds a B.A. from Purdue University. Mary has managed both student-housing and market-rate communities and enjoys the many different facets of working onsite. Her strengths lie in budget creation and compliance and she is committed to expense management and increasing NOI. When away from work, Mary cherishes time with her husband Chris and two dogs, Wrigley and Soldier. Born and raised in Chicago, IL and a die-hard Cubs fan, Ron joined Sheehan Property Management in July 2017. Ron found property management after multiple years working in Student Activities and Student Housing at various colleges and universities. Although Ron is relatively new to property management, he enjoys working with residents and is dedicated to providing quality of life at his community. Firouzeh brings with her 20 years of experience in the property management industry. She began her career in the Phoenix, AZ market where she obtained experience in conventional housing, student housing, section 42 and senior housing assets. She oversaw multiple assets, with a portfolio totaling over 1200 units. She also served as a trainer and helped on-boarding new managers. Firouzeh joined Sheehan Property Management in 2015 and obtained her CAM designation in 2018. She actively participates in training classes offered through the Indiana Apartment Association, as well as other sources, and is always looking to increase the depth of her knowledge. Firouzeh is an effective communicator and excels in collections, sales and team building. 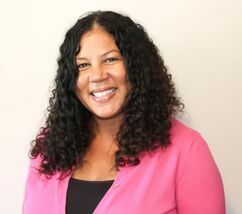 After spending her numerous years traveling and studying abroad, Rachel began her career in Property Management in 1998. She began as a leasing consultant and was promoted to manager after 8 months. Rachel ‘s experience includes Section 8 and conventional housing. She received “Property Manager of the Year” from her former company in 2008, as well as, “Humanitarian of the Year” in 2015. Rachel’s recognition was for her volunteer work and efforts collecting clothing for the homeless at The Coburn Place, collecting Handbags for Hope and donating them to Sheltering Wings. She earned her CAM in 2008 and after almost 20 years in the business, joined Sheehan’s The Masters Apartments in December 2017. Rachel has found The Masters and staff truly welcoming and feel she has found her perfect place to work. Rachel’s focus is providing exceptional customer service while maintaining the Owner’s Asset. In her free time, she is a Soccer mom and enjoys playing the piano, traveling and spending time with her family. 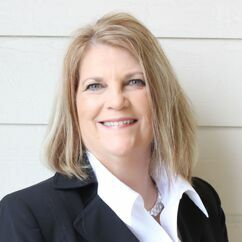 Dawn has worked in the Property Management industry since 2001 and has served as the Property Manager of Morgan House Apartments since May 2013. Her duties include resident relations, budget preparation, cost control, court filing, staff management, bills, weekly reports, property inspections and owner reports. During her 17 years in the apartment industry, Dawn has won the “Property Manager of the Year” award in 2006, 2008 & 2014, as well as the “Award for Accuracy” in 2016 from Sheehan Property Management. Dawn is a dedicated wife, mother of three, grandmother to four, and proud owner of one fur baby named Thor! She is a huge animal lover and her hobbies include cooking, hiking, collecting shells while walking on the beach, and spending time with her family and best fur-friend, Thor. 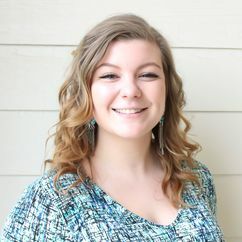 While obtaining her degree at Indiana University, Brianna Fritts began her journey in Property Management as a Community Assistant gaining experience within the Student Housing industry in Bloomington, IN. After graduating in 2016, she made the move to the Indianapolis area. Brianna became interested in trying her hand in the Multi-Family industry, where she was hired on as a leasing associate for Sheehan Property Management at The Coil Apartments, a new lease up, in March 2017. The Coil was awarded Community of the Year for New Development at the IAA Midwest Multifamily Conference and, in addition, Brianna received Leasing Associate of the year within Sheehan Property Management. 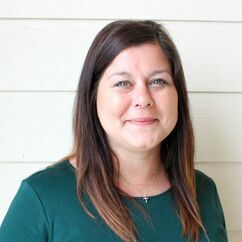 She was promoted to Property Manager at The Coil Apartments in May 2018 and enjoys seeing her residents create connections with one another and form long-lasting friendships within their community. Kelsey grew up traveling around the world in a military family. This opportunity exposed her to life in many different places including Germany, Austria, and Italy. While stateside and studying for a degree in Education, Kelsey got her start in Property Management by leasing. Within three years she was one of the youngest Property Managers within her company. As she works towards her CAM certification, Kelsey is excited to begin her adventure in Louisville, KY. She is eager to bring new ideas to the 310 @ NuLu community and thrilled be a part of a hardworking, dedicated team. Kelsey has a passion for musical theater, enjoying the outdoors, and loves to travel as much as possible with her friends and chocolate lab, Gryff. 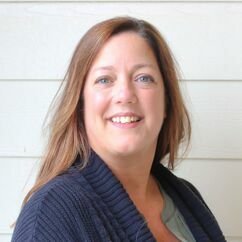 Born and raised in Indianapolis, Erin began her 24-year career in the apartment industry in 1994. 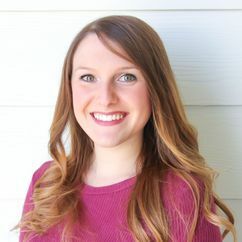 Erin received her CAM designation in 2006 and is currently working on obtaining her Real Estate Brokers license. Before joining Sheehan, Erin managed a 592-unit community for 15 years and obtained a vast knowledge of the property management industry. During her personal time, she enjoys cheering on her favorite football player, her son. She also enjoys traveling with her husband of 19 years and spending time with her two Boston Terriers.